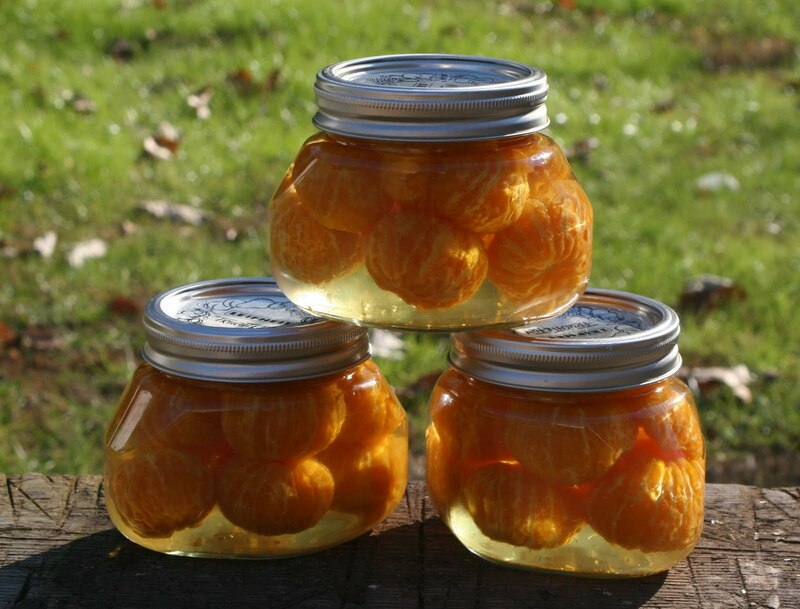 Confiture of the weekend: canned clementines. Clementines are back and usually sold in jumbo bags or boxes. Generally, no matter how bad the scurvy, it is daunting for one person to consume all those clementines in a reasonable amount of time, leaving a plethora of tiny oranges that seem to multiply overnight. What's a girl to do. Well, can them, of course. It is really quite easy, if not a bit tedious, as one must first peel all those little teeny oranges. After about, two, the sticky white membranes get all mashed onto your fingers and the process slows and becomes messy, so be sure you have a bar rag of some type to try and keep the hands free of goo. Then, stuff jars with clementines, make a simple syrup, pour over the clementines in the jar, screw on a lid and process for 10 minutes. Some people like to break up the clementines into sections to get more in the jar, but these German Leifheit jars are constructed in the funny triangular shape which allowed for a snug insertion of whole clementines. The simple syrup had a bit of spice. Rather than give you strict measurements, as I do not know how ravenous your desire for clementines was, so I have no idea how many were laying on your counter. While my "simple syrup" started out simple, it became more complex. I added a sachet of mixed spice and finished it off with shot of orange liqueur and a dash of orange bitters. Peel and remove as much of the white membrane as possible. 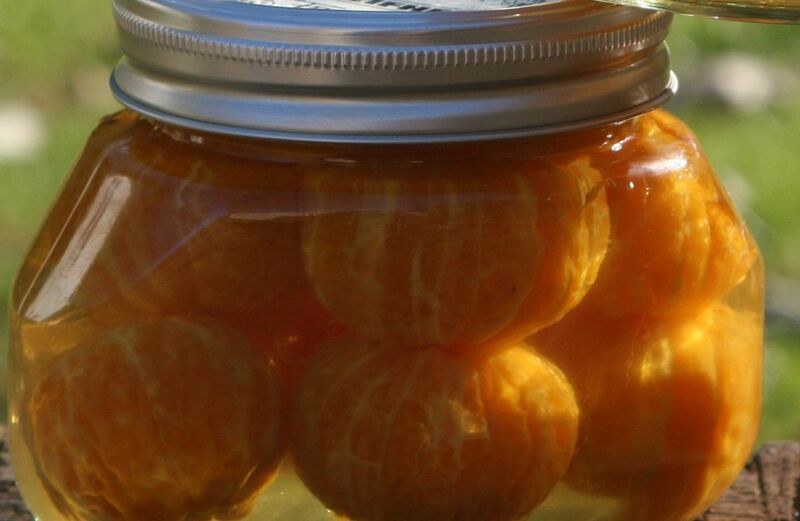 Fit the clementines whole or in sections into canning jars. Take the spices and wrap them in a piece of cheesecloth and tie off. 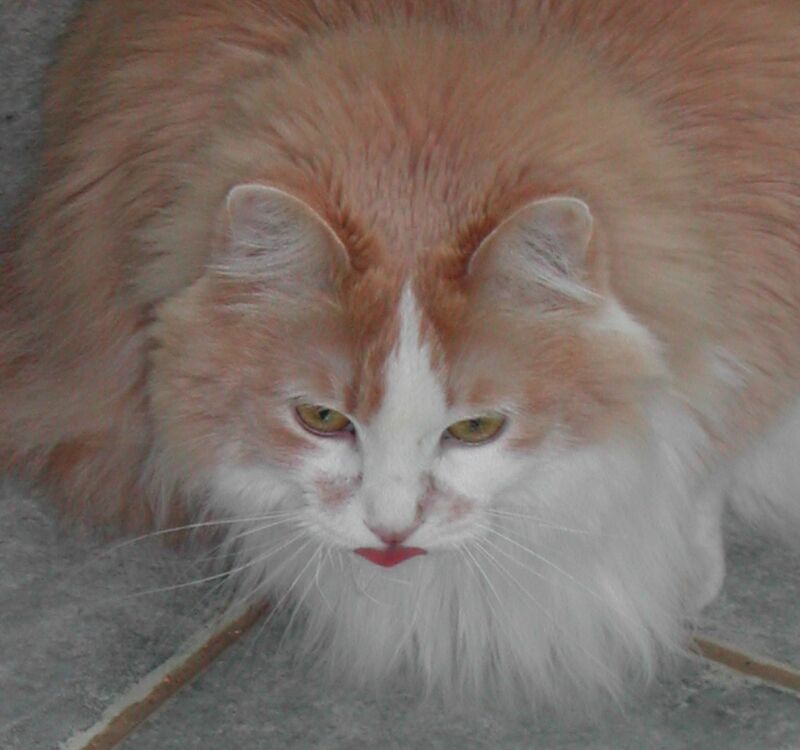 In a small saucepan, add the sugar and water and stir until the sugar is just dissolve. Add the spice packet and bring to a boil. Remove the spice packet, making sure to drain any excess syrup back into the saucepan. Add the orange liqueur, the bitters and stir. Pour the syrup over the clementines, leaving a 1/8 inch of rim. Wipe clean the jar rims and screw on the lids, hand tight. Process in boiling water for 10 minutes. Remember to time from the point the water boils. Sometimes with a syrup base, it will weep through the lid a bit, don't worry if that happens. If, by chance, you find yourself some leftover syrup, consider yourself lucky. Just pour it in a little container and stick it in the fridge. Then you can add it to carrots, sweeten tea, make vinaigrette, the possibilities are endless. my mother loves clementines. what would you do with these? My first thought--over ice cream. Sauteed to reduce the syrup and used as a glaze on chicken. Stirred into a steamy rice. Warmed and poured over a pound cake. Mixed with some coconut and turned into an ambrosia. These look lovely in eir little jars. I love clementines but you're right, there are always way too many of them. Maybe the canned ones could be made into a Clementine upside down cake. Thanks so much for the great idea. I have a wonderful salad that I make with mixed greens (LOTS of arugula) roasted walnuts, slices of clementines, and feta or blue cheese. Gets raves with Ina Garten's apple cider vinegar salad dressing. Aluminium Foil Pouch,Zipper Pouch,Aluminium Foil Zipper Pouch, Jumbo Bags, Gusseted Pouches. I love clementines! It's my favorite fruit ever!